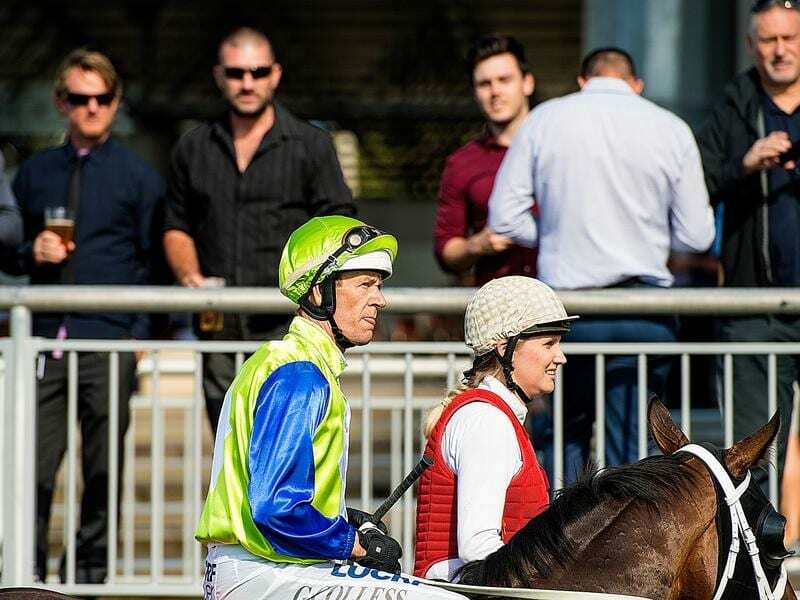 Queensland jockey Glen Colless expects to be back riding soon after recovering from a back injury. Group One-winning Queensland jockey Glen Colless is set to return to riding after being sidelined for almost three months with injury. Colless hurt his back in mid-September but it has responded to intense treatment in the past few weeks. “I am resuming trackwork riding on Monday and I should be ready to start taking rides about a week to 10 days after that,” Colless said. Colless has ridden more than 1000 winners in a career which has featured around 30 stakes winners including the Group One Doomben 10,000 (Mr Innocent) and BTC Cup (Malguerra). In recent times he has been working at premier Sydney trainer Chris Waller’s Gold Coast stable and will resume the association at when he is back riding. Fellow jockey Robbie Fradd is expected back from Mauritius next week. Fradd won the Mauritius jockeys’ premiership after taking up a contract on the island nation in May. Brisbane’s riding ranks are getting back to full strength with Ron Stewart also returning from Mauritius and Jeff Lloyd postponing his retirement until next year. On the other end of the ledger, Michael McNab has returned to New Zealand for family reasons after a stint with Waller on the Gold Coast.